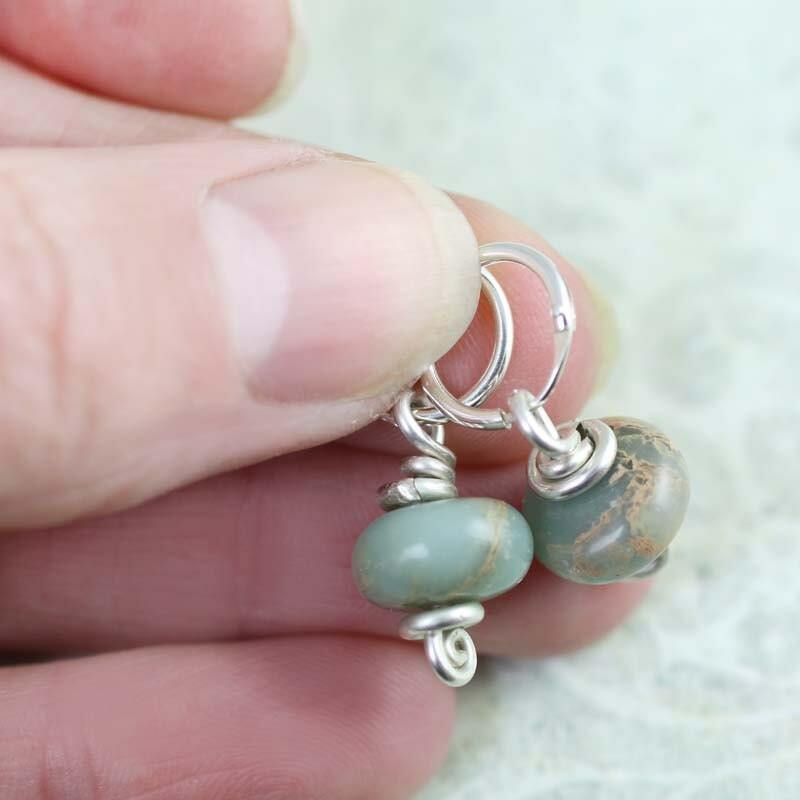 Beautiful Aqua Terra Jasper in smooth beads, wire wrapped in thick silver wire and hung from hinged silver hoops. 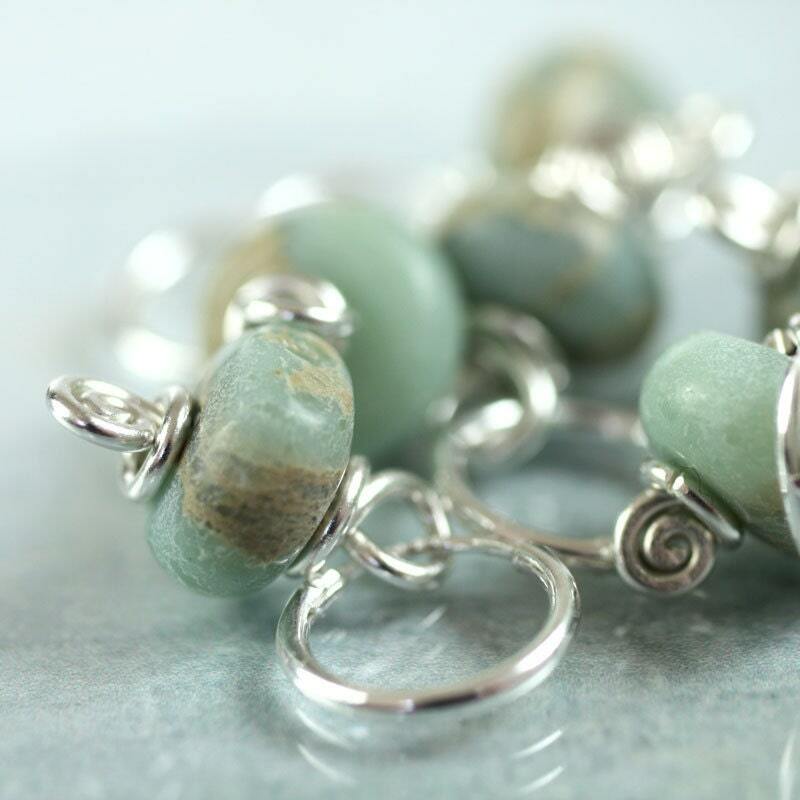 Jasper comes in so many gorgeous colours and these beads remind me of ancient jade and old maps. Special beach stones that have been worn smooth by crashing waves. 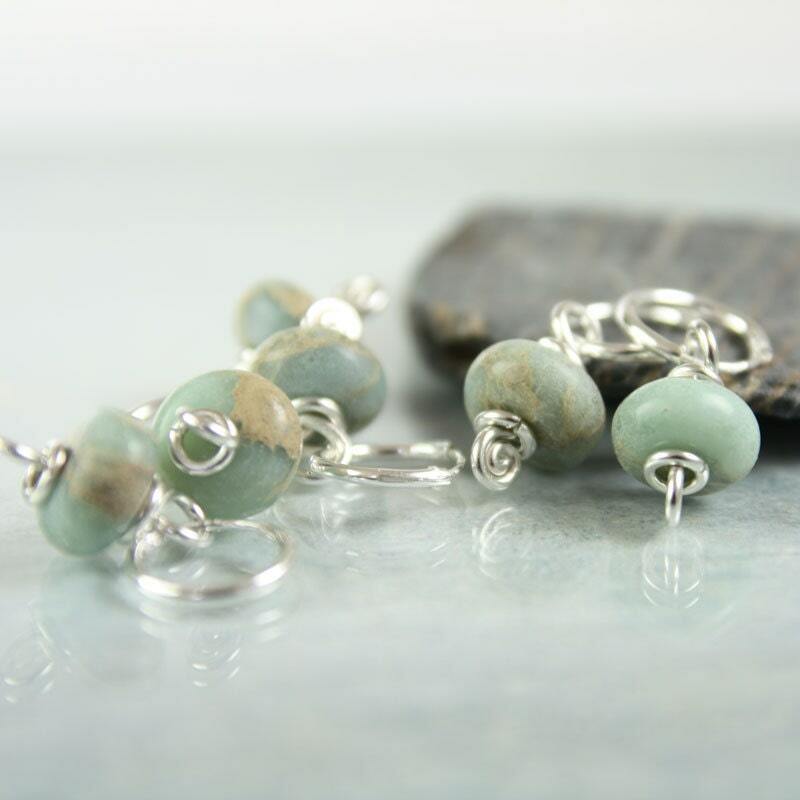 Aqua Terra jasper - also know as "African opal jasper" is a wonderful earthy stone. 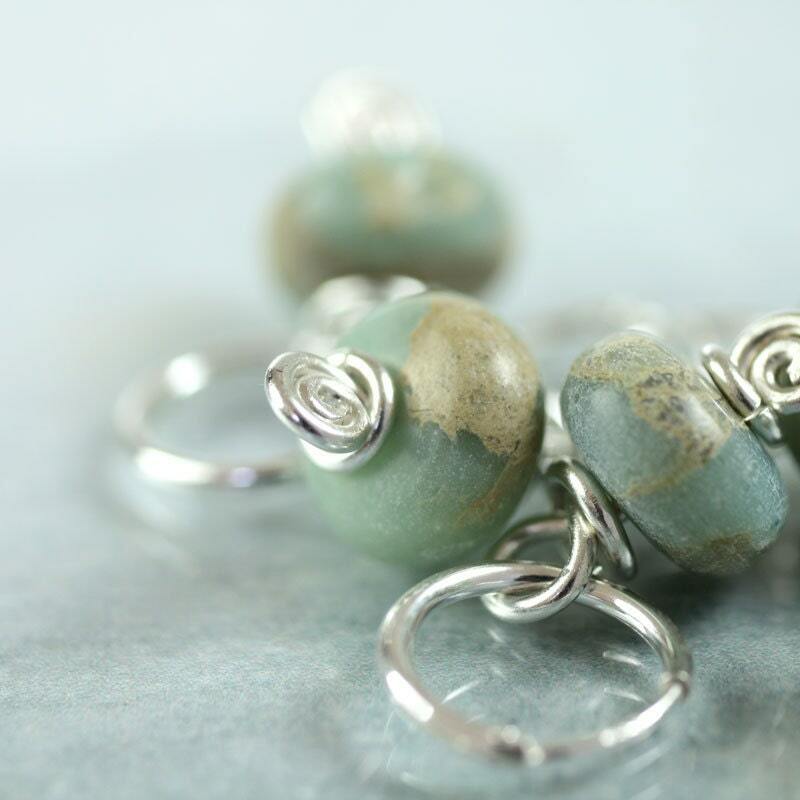 The colour is sea green with veins o, terracotta and sand. 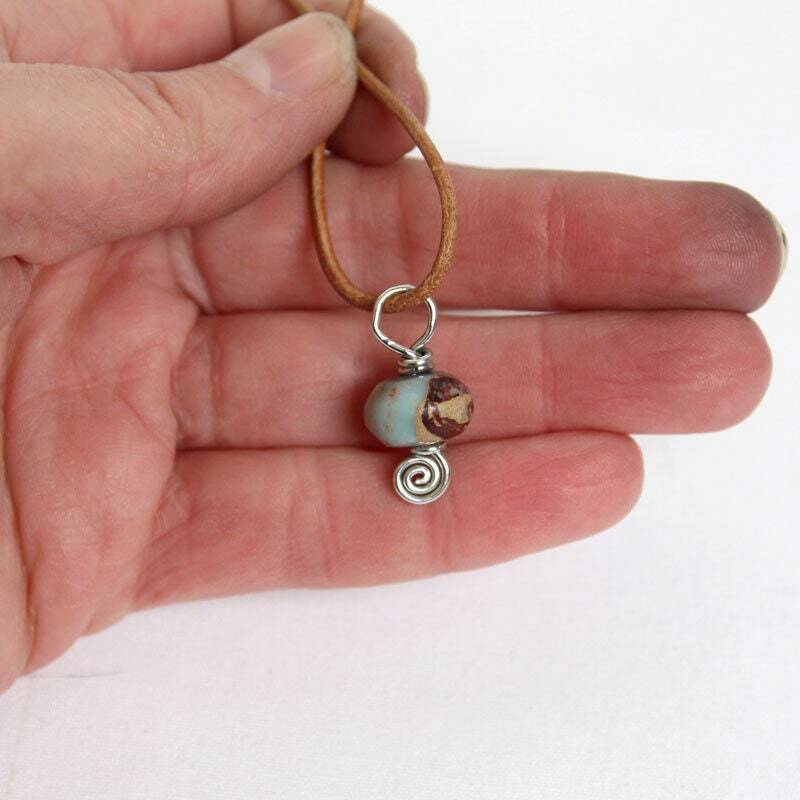 The stone is said to help one find inner peace, clarity, love and compassion. If you prefer French hooks instead of hinged hoops, just let me know and I will replace the rings with a handmade pair of ear wires. Beautiful earrings, thank you so much ! Very beautiful and delicate earrings. So light to wear. 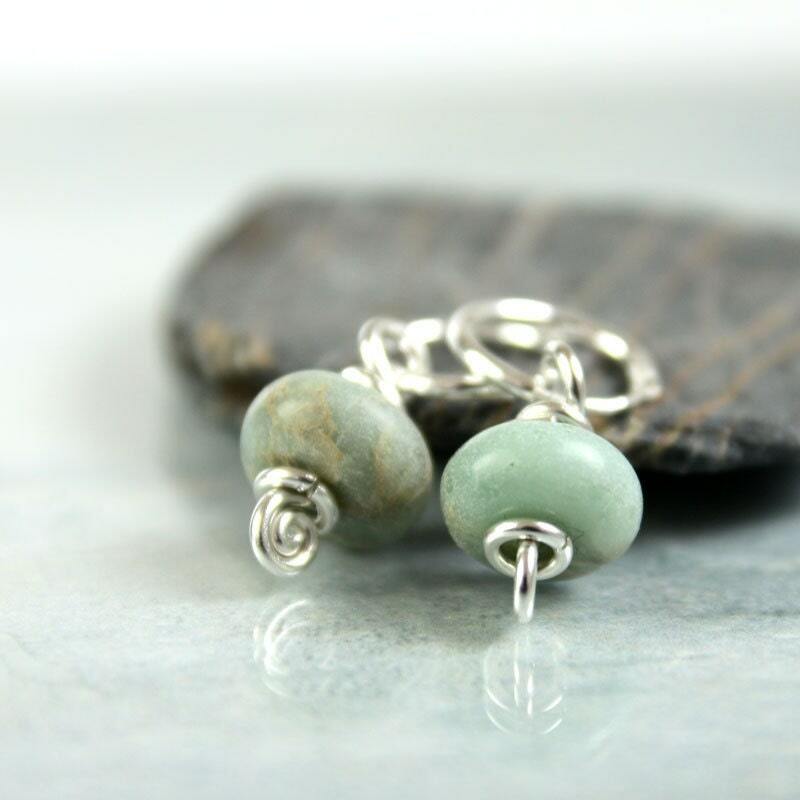 Lovely earrings...and very fast shipping!